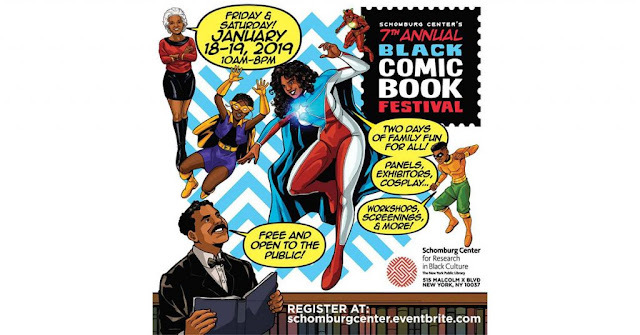 We're (Black) Comic Fest '19! 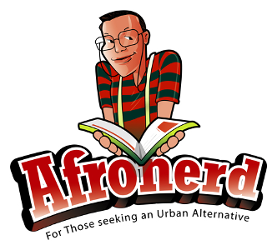 ; Glass & Punisher Reviews & More-TheGrind 6pm ET - Afronerd: The Blerd Revolution Has Begun! *Apologies for the preempted shows, folks! We're b(L)ack, live and direct and let's just get to the information. It's another action packed Afronerd Radio/Grindhouse podcast airing this Sunday at 6pm eastern. The topics are: our impressions of last weekend's 7th annual Black Comic Book Festival held at the world renowned Schomburg Center in Harlem, NYC; Afronerd's "sanctum sanctorum" checked out M Night Shyamalan's Glass at Dburt's favorite spot, Brooklyn's Alamo Drafthouse; Punisher S2 premiered last week courtesy of Netflix (for the moment..shhh); comedian, Bill Maher doubles down on comic book culture during his Real Time show; DC Universe's Young Justice: Outsiders"first half" of the third season concludes scheduled to return in June; more on Black Panther's Oscar nomination and what are it's chances? ; Star Trek: Discovery and The Orville second seasons are in full swing (at the same time?) and lastly, our thoughts about Sen. Kamala Harris announcing that she is formally running for president in '20. Call LIVE at 646-915-9620.